Resources, by themselves, don't do anything. You have to spend resources to get any kind of benefit from them. 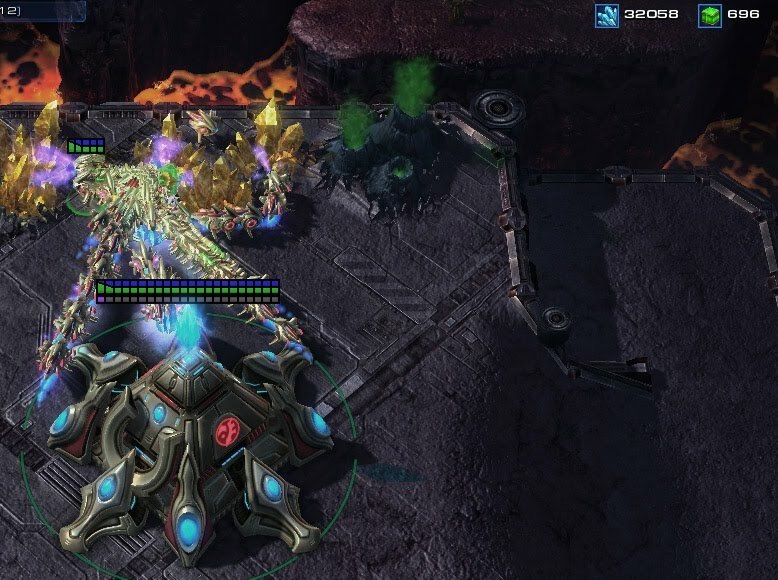 With minerals and vespene gas you can create the buildings and units you need to win in StarCraft 2. This seems like common knowledge, but stick with me. How often are you playing a game where you have over 300 minerals or vespene - unspent - sitting in your HUD? Probably a lot of the time especially if you're still starting out. If you watch professional replays they almost never have more than 300 resources sitting unused. These are players that sometimes bring in 1500 minerals per minute but they still manage to find places to invest those resources. Way too many resources. Spend, spend, spend! I can't overstate how much you need to spend your resources. Learn the places that you can dump resources quickly if you have too many. If you ever hit 1000 minerals or 1000 gas you know that you aren't keeping up with spending. Your overall goal should be to get down to around 300 of each, but 1000 is a good benchmark to let you know it's time to spend. So, where can you put resources to make them count? The three places to spend extra resources quickly are first tier units, upgrades, and the tech tree. First tier units are a great way to balance out your minerals and gas. Usually you'll have too many minerals but luckily every race has a basic unit that takes only minerals to create. Zealots, Marines, and Zerglings are all easy places to invest massive amounts of minerals quickly. If you play Protoss keep in mind that if you have too much vespene you can create Sentries to balance out your resources too. Don't be afraid to build more first tier structures so that you can pump out basic units quickly. I almost always have at least 2 Gateways. Sometimes I play with as many as 8 Gateways at the same time so I can crank out low level units as fast as I want. The same thing goes for Barracks and Hatcheries/Queens. If you have more of them you can create units faster. The best thing to do when you have too much vespene is to upgrade or progress up the tech tree. Upgrading is usually faster but you need to both upgrade and tech if you're going to win. Basic upgrades improve your attack and defense. Basic upgrades that help many units can be researched through the Forge, Engineering Bay, or Evolution Chamber. More advanced upgrades add specific attributes or abilities to one specific type of unit. They can usually be researched through the structure that allows the creation of that unit. If you research basic upgrades that apply to all of your basic ground units and create a bunch of those units you can often compete against higher tier units that haven't been upgraded. Don't neglect your upgrades! They can win the game for you! The other option is progressing to higher tiers of units. We've already discussed learning tech trees so you should be familiar with yours. You'll need higher tiered units as your game progresses, so don't wait too long to move up your tech tree. The most important thing is that you spend the resources you gather. Find a place that they can become useful and spend them. Don't leave unspent resources just sitting in your HUD.